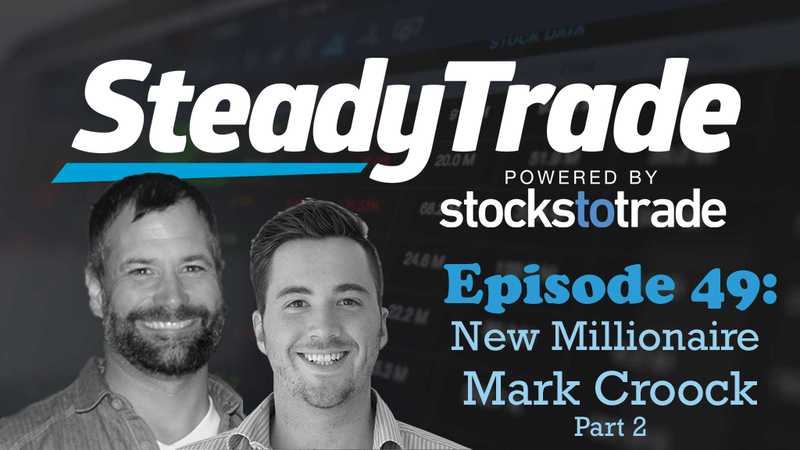 Last week, hosts Tim Bohen and Stephen Johnson began an interview with the incredibly talented (and new millionaire) trader Mark Croock. Part 1 of the interview focused on Mark’s backstory, beginnings as a trader, and some of his trading philosophies. In this week’s installment, you’ll learn how Mark’s trading style has changed over the years, what about the market has him excited these days, and several vital tips for traders who are just starting out. As discussed in Part 1 of the interview, identifying pump and dumps as opportunities to sell short was how Mark initially began to profit as a trader. Of course, this was in 2010, or during what host Tim calls the “golden age of shorting junk”. The fact is, a new trader couldn’t hope to replicate Mark’s early success today, because the market has changed. These days, pump and dumps aren’t presenting themselves in the same ways as they used to. The golden age is over; the market has shifted, and Mark had to shift his approach, too. What sectors of trading are exciting to Mark these days? In the episode, he speaks with Tim and Stephen about some of his current trading setups and what is working in the market right now. Mark, Tim, and Stephen also discuss the overall importance of finding an edge when trading penny stocks, and the importance of monitoring stock moves for just about any setup. Restraint is key. Sometimes the best trade is no trade. This is one of the most important trading lessons you can learn! What is the ideal number of trades someone should be taking? If you ask Mark, it’s less about a number and more about finding that perfect setup. Trading is only a small part of the process. Pushing the order button only takes a moment, but a lot of the legwork is research and education. This makes it extra important to focus on your studies. Timing matters in a big way. In terms of trading, aim for the morning and the evening, and be cautious in the middle of the day when there is less in play. Technical analysis is so important. Trading is a game of risk and reward, so it’s vital to do all of the research you can to determine whether or not your potential trade is a good idea. This is the difference between a risk and a calculated risk. Education is so key to success. Continuing to learn from mentors and lessons is important, even when you begin to profit as a trader. Possibly even more important, because it helps you remember the vital basics that keep you trading responsibly. If you’re trading with a small account, be smart. Don’t take huge positions and don’t be a bag holder! In the episode, the hosts and Mark discuss specific tips on how to trade smarter with a small account. 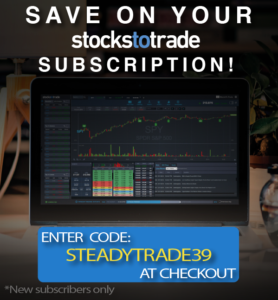 Mark also offers advice and tips for new penny stock traders. He dishes on his specific picks for resources for new traders to start, from the Tim Sykes DVDs to videos and webinars and video lessons. Moreover, what Mark wants to impart to newbies is that you don’t need to be a genius to be a brilliant trader. It’s more about sticking with it over time. Few people have the massive amount of willpower required to make it through the years of studies and trials and errors necessary to find success, but for those who do, there are many rewards. Do you have a question for Mark to expand upon, or about trading in general? Visit the “submit your audio” portion of the website to ask us anything. You may be featured in an upcoming episode. You guys are a lot of fun and Mark is a real inspiration! Thank you All! ….still no video… What happened to your video feed??? Mark had some issues with his webcam so no video this episode, sorry. Thanks Mark, and Tim and Steven – great podcast! As a newbie I found the shift from pump & dumps to hot sectors especially informative. Thanks again! Good Interview guys, Thanks Mark for you insights and inspiration.